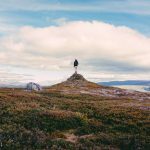 When a person joins your email list, it’s a short way of saying “I’m here, I like what you’re selling and something has piqued my interest.” Naturally, what comes next is both glaringly obvious yet underrated – a welcome email. Call it a first impression, a “How do you do?” or a friendly introduction. Forgetting this is like ignoring an interested shopper who’s just walked into a brick-and-mortar store. You just don’t do it. 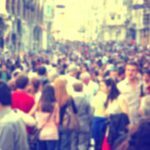 Paying little or no attention to your welcome series is akin to watching interested customers stroll into your shop without as little as a smile or hello from your sales staff. So what makes a good welcome series? Here are the three types of emails every winning welcome series should include and examples of brands killing it. Remember: the purpose of this email is to welcome your new subscriber. You want to make them feel like they’ve joined something of value and help them connect with your brand. There are three key points to make in the first welcome email. 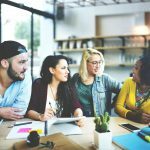 The first is to pinpoint and harness your tone of voice – use colloquialisms and phrases that nail your brand and who you are. If you’re direct, be direct. If your brand is playful, then include playful nuances. This is your opportunity to create an important first impression, so don’t sell yourself short by sounding like anyone but yourself. Note: you can also powerfully do this through graphics and the design of the email template itself. Find Me A Gift does an excellent job of this. 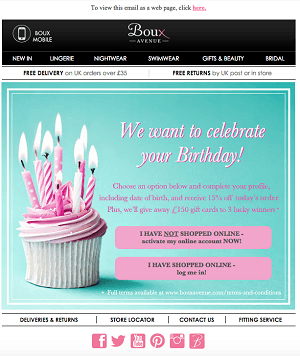 Their tone of voice perfectly encapsulates the brand and their playful approach to online gift shopping. Better yet, the copy ties together with the graphics, making it an inviting email to open. The second point is to add value. At this stage in the game, your subscriber isn’t a buyer, but they’re interested in what you’re offering – so why not dangle an incentive and see if they bite? You can offer a discount coupon, free shipping or a freebie when they purchase something. Whatever you do, ensure your offer is urgent and time-sensitive. Be clear about the fact the offer expires in 24 hours (or whenever). Another way to push this point home is to include a countdown timer. It’s also worth split-testing two separate offers, i.e. free shipping vs 25% off, to see which performs better. Finally, keep this email short and sweet. Harness your unique tone of voice by welcoming the subscriber and offering them something that whets their appetite to buy. Avoid clunky copy – information overload is not what you’re aiming for. Now that you’ve made a good impression, you’ll either have prepped the subscriber to buy in the future or they’ll now have purchased something. The next step in getting to know each other is to let them know who you are, what you’re about and what you offer. A great way of doing this is to reach out and let subscribers know you’d like to connect with them on other platforms. Whether it’s Instagram, YouTube or Facebook – pick the platforms your demographic actually hangs out on. For example, if you sell makeup brushes, your audience is between age 18-25 and is most responsive on Instagram, then connect with them on that platform. You can even lure them in with an “I want to connect” CTA button and screenshots or GIFs of the relevant social media account. 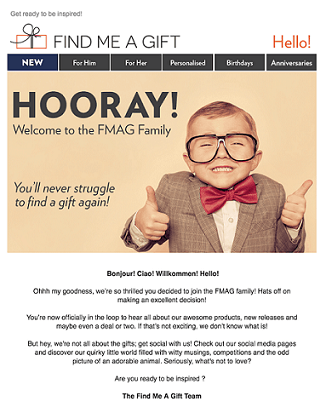 Here are a few good examples of invitation-style welcome emails. 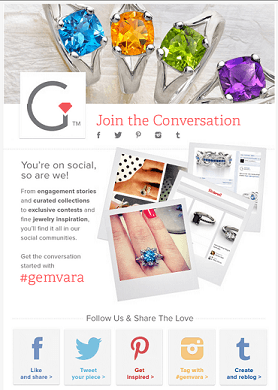 Gemvara takes a social slant on the invitation email with a “Hey, you’re on social and so are we – so let’s connect” approach. The graphics are clear and directly push subscribers to their most popular social platforms. The subcopy below each social icon is especially inviting; it highlights that whether you prefer Tumblr or Twitter – they’re on it. B&M’s approach is slightly different. Yes, they’re inviting subscribers to find them on social media, but they’re doing so from a different position. Instead of saying “Come see what WE are doing on social” they’re asking subscribers to come and see what their customers are doing with their products on social media. This is especially interesting as it builds brand credibility quicker and makes new subscribers feel like they’re missing out. You can ask subscribers to join the conversation by using your own brand’s hashtag or invite them to check out how other people are showcasing their favorite buys from your store. J.Crew pleasantly brings together their best pieces of content to showcase how they’re a leader on other platforms, i.e. their blog. It’s less about connecting and more about showcasing where they’re present online. At this stage, subscribers should know who you are and either like what you’re about or begin to. This is an important step in the subscriber relationship, as you’re beginning to build trust and with trust come purchases, then loyalty. Depending on the products you sell, you can reach out and get to know your customer in two ways. Alternatively, you can ask subscribers what sort of information they’d like to receive. 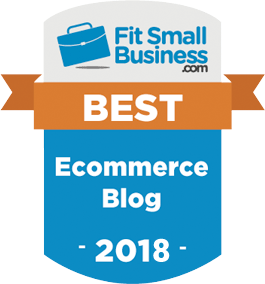 This is particularly useful if you sell a wide variety of products and would like to build specific user profiles so you can send targeted emails down the track. 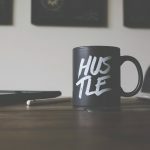 A second option is an indirect approach – this is an excellent way to connect with customers if you’d like to showcase your best-selling products they might be interested in or a YouTube tutorial that might be of use. You can also include what the media says about you as well as other reviews. This is particularly powerful if you sell a product like hair extensions, as YouTube reviews from influencers would inform your subscriber of your products while boosting credibility. 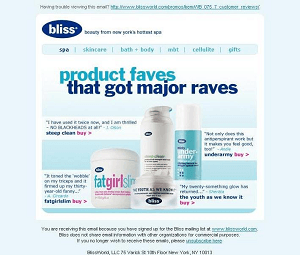 Bliss hit a home run with this email. Not only is the tone of voice on point, but the reviews even sell the products without Bliss having to add in any additional copy. Win-win. Once you’ve fleshed out your welcome series, the final step is to roll it out and then test, test, test. One of the best ways to utilize a welcome series isn’t to automate it and hope it performs well – it’s to split test and see what works best for your subscribers. Perhaps a 10% off coupon isn’t as enticing as free delivery, or maybe your subscribers prefer to connect with you on Facebook, not Instagram. Either way, you won’t know until you roll the emails out, test, review, then tweak. Now you’re ready to craft a great welcome series. But I would like to leave you with the most important tip about winning email sequences: be yourself. Keep the tone relevant to your brand, but be sure to keep things personal. Do this by utilizing name tags in appropriate places so each subscriber feels like the email isn’t automated. The key is to focus on the subscriber: provide value but remain focused – never cram a welcome email with too much food for thought. 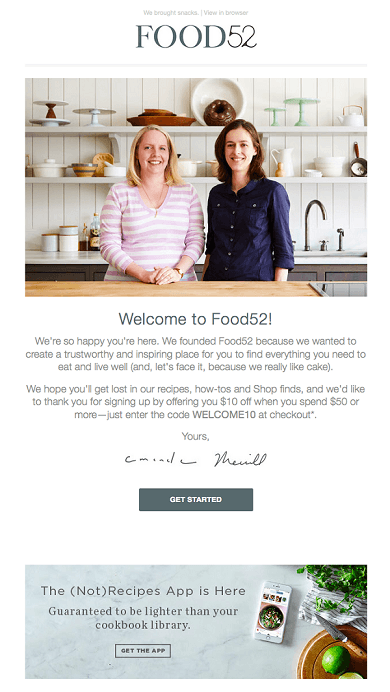 Each welcome email should serve a purpose and both your template and copy should match this. 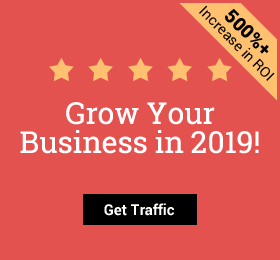 For example, in one welcome email you shouldn’t offer 25% off, ask them to connect with you on Facebook and suggest they read your blog. It’s analysis paralysis – you’re asking the subscriber to make too many decisions; they’ll feel overwhelmed and leave. Avoid this at all costs and stick to your plan. Sarah-Louise is a Copywriter for the Growth Gurus. She is a lover of data and words that actually serve a purpose. 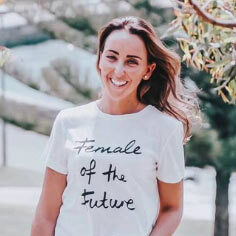 Based in Australia, she crafts copy for the Growth Gurus – a data-driven marketing agency with one mission: to grow e-commerce businesses. This entry was posted in eCommerce Tools and tagged Driving traffic to online store, eCommerce, eCommerce marketing, eCommerce motivation, eCommerce traffic, email marketing, email welcome series. Bookmark the permalink.